The island was first inhabited by Polynesian settlers around the 4th century AD. Jakob Roggeveen made the first European sighting in 1722. James Cook sighted the island in 1770 and landed that same year. The London Missionary Society arrived in 1820 and founded a Protestant church in 1890. Bora Bora was an independent kingdom until 1888 when its last queen Teriimaevarua III was forced to abdicate by the French who annexed the island as a colony. In World War II the United States chose Bora Bora as a South Pacific military supply base, and an oil depot, airstrip, seaplane base, and defensive fortifications were constructed. Known as “Operation Bobcat,” it maintained a supply force of nine ships, 20,000 tons of equipment and nearly 7,000 men. Seven artillery guns were set up at strategic points around the island to protect it against potential military attack. However, the island saw no combat as the American presence on Bora Bora went uncontested over the course of the war. The base was officially closed on June 2, 1946. Only one former US serviceman, Fred Giles, returned to the island. The World War II airstrip, which was never able to accommodate large aircraft, was French Polynesia’s only international airport until Faa’a International Airport was opened in Papeete, Tahiti, in 1960. 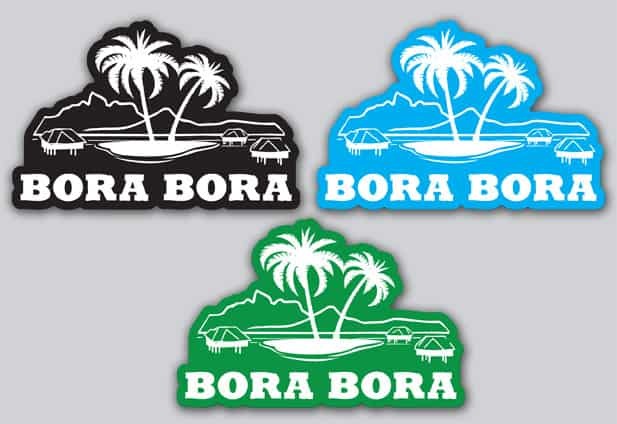 More history of the Kingdom of Bora Bora can be found here. Six daily flights from Tahiti-Faaa Airport: 45-minute direct flight, or 68-minute flight with a stop at Raiatea and Huahine.